I'm going to warn you upfront that this post might make you uncomfortable. You might feel embarrassed, or angry, or defensive. If you start feeling this way, stop reading for a second and know this: I don't think badly of you in any way, and I'm not suggesting that any of the things I'm going to talk about are bad. I'm only going to ask you to consider focusing your time and energy and money in perhaps a different way than you have done in the past. Are we on the same page? OK.
Let's start with some premises. The time we have on this earth is finite. The amount of energy we have to focus on all of the things we want to (and have to) do is finite. And the amount of money we will ever have access to is finite -- at least, for the vast majority of us. I would also suggest that it is very difficult, if not impossible, for a person to live and die having had zero impact on the world and the people in it, at least for some period of time. And that, given this fact, most of us would prefer to leave the world better rather than worse because they were in it. Even though most of us want the world to be a better place, we have a problem, because we can't fight for every cause. There are literally hundreds of different causes we could support that claim to be moving the world in a positive direction, and we just don't have the time, energy, or money for all of them. People who are very passionate about one or two issues, and devote time, energy, and money in pursuit of those goals at the expense of everything else. People who are uninvolved in any causes at all, but if something's put in front of them and it's easy to participate, they'll occasionally do so, whether it's posting a Facebook link or putting $10 in the Salvation Army bucket. Personally, I fall somewhere in the middle of the spectrum: There are a few causes I'm passionate about (no surprise there), but Mike and I also set aside $50 every month to go to whatever cause gets our attention that month. It's a strategic setup because we know we can't put money toward every cause, but we want to make sure we're always doing something, so we've figured out what works with our monthly budget. As I see it, there are two basic ways to further a cause: awareness and action. For example, awareness is "let people know that this cancer exists" and action is "give money to fund research for prevention and treatment of this cancer" or "understand and share the specific steps for recognizing this cancer." On the other hand, and here's a key point I want to make, we have to make sure we don't get stuck in the "awareness" phase and believe we're doing real good. Two months ago, I got several Facebook messages telling me to participate in yet another "women-only" Facebook game, similar to previous ones in which women posted their bra color or where they stored their purse using vague statuses that confused their Facebook friends who weren't in on the "game." (In this case, it was something about saying you were going to another city based on what month you were born in.) If the message had said, "Hey, we're doing this to confuse our Facebook friends because it's funny" -- fine. Stupid, but fine. 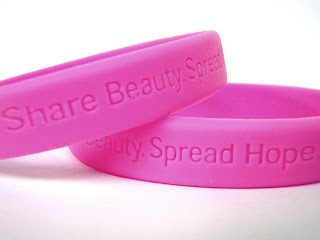 What got me is that this, like the previous versions, was sold as being a way to raise "breast cancer awareness." If this blog post is the very first time you have ever heard that people could get cancer in their breasts, please leave a comment below telling me this. I would be very surprised. This particular campaign, to my knowledge, did absolutely nothing to actually reduce the amount of breast cancer in the world, or even to educate people about recognizing and getting treatment for breast cancer. But, you say, it's not like it was doing any harm. It may be a waste of time, but there are lots of other ways to waste time as well. Sure, all the people who messaged me about the Facebook campaign could have spent 15 minutes watching TV instead of updating their status and then copy/pasting the campaign information into a message and clicking on each of their female friends to send it to. The issue I have is that doing something like this can leave one with the feeling that "I did my part to fight breast cancer by raising awareness" when really... you didn't. Here's my concern: If we have limited resources and we want to make the world a better place, then we need to try our best to focus those resources in ways that have the most impact. And it doesn't matter which side of the spectrum you're on, whether you've devoted your life to finding a cure for cancer or you simply will put a tiny bit of time, energy, or money toward the cause whenever it comes to your attention. If you truly want to make a difference, then whatever amount of your limited resources you decide to put toward that cause should, to the best of your ability, advance that cause in some way. Here's an example of where awareness can actually make a difference. Anne of Modern Mrs. Darcy posted back in December about how they discovered their son had retinoblastoma, a rare eye cancer. How many of you had heard of retinoblastoma before? That's the awareness piece. But Anne went a step further to show us the photograph that first tipped them off, and to encourage anyone who notices this same sign in their own photographs to visit their doctor. That, in my opinion, is a way, way better use of resources than a post simply saying, "Hey, this cancer exists!" To answer the question titling this post: When is raising awareness valuable? When it leads to action. In case you hadn't guessed, this post was sparked by the now-viral Kony 2012 video. I posted this article on Facebook reminding people that as much as we love the story of a single, evil villain, and it's easy and comfortable to believe that "stopping" (killing, more than likely) Joseph Kony would make the world right again, the truth is rarely as simple as it seems. Mike responded that the point of the Kony 2012 campaign was not necessarily to kill Kony but to raise awareness about him, the key point being that Mike had not heard of Kony before and now he has. I want to be clear that I am not slamming on the Kony 2012 campaign per se. It is raising awareness, and as I said, that is the first step to action. And if you believe that putting your money toward the campaign or toward Invisible Children is the best way for you to make an impact, then I say more power to you. Truly. I simply want to challenge the notion that awareness is enough. I believe awareness needs to be coupled with a call to action, and that call to action needs to be more than "increase awareness some more." How much time, energy, and/or money am I willing to spend on this cause? How can that amount of time, energy, and/or money generate the most action toward advancing this cause? That's it. Two questions. You don't have to make every cause *your* cause, but I challenge you neither to do only what is easy because it's right in front of you. All I can really say is "Amen". You covered it all for me. Thanks :) Glad to hear it resonated with you. That Facebook thing is so stupid. Frankly, I don't think there's a need for raising breast cancer "awareness" anymore. If you want to raise money for breast cancer, great! It's a terrible disease that affects a lot of people. But you would have to be living under a rock not to be aware of it. Yeah, that's basically my feeling about the whole thing--why are we stuck in the "awareness" phase about something pretty much everyone is aware of? I think this is the first blog post I've received a standing ovation for ;) Thanks, Gina! Great post Jessica. I totally agree with you. I am part of a social justice & advocacy group at my church, and therefore know well the difference between awareness and action, but I think there are times when I can fall into the trap of thinking my awareness is enough, so thanks for the reminder! I usually only post links or write a blog post on a cause if I'm actively involved in it, because it's something I'm passionate about, but I still feel challenged by what you've written to continue to be active in those causes. Glad I could clear that up for you! :) That's what I thought was so bizarre about the Facebook "game," that most people didn't even understand what was going on, so how was it helping anyone? I don't think people necessarily need to limit themselves to only talking/posting about the things they're actively involved in, but I do think it's important to educate yourself before you share something. That's part of the reason I don't often blog about politics--I don't want to fire off an opinion before doing extensive research, and even then I'd prefer to share something written by someone who is more actively involved and well-educated on the topic than I am and who presents a relatively balanced view. I am the annoying friend who is always posting snopes.com links on people's Facebook statuses, but I'm like, seriously, you didn't even Google this before you re-posted it?? Yeah, I'm somewhat grateful that those "forwards" have moved from e-mail to Facebook, since I can always hide someone's newsfeed but it's harder to keep someone from filling up your inbox. My father-in-law is probably the worst of my Facebook friends about re-posting fake stuff, although he hasn't done it in a while--last time I posted a Snopes link in response, he said, "I always forget to check that damn Snoops site..." Haha :) So maybe he's finally started checking on them. I love everything about this. I get so tired of people and their "slacktivism." While I realize all the Kony stuff is raising awareness, that's not enough - if people are truly passionate about the cause, they need to be doing something. I feel the same about cancer awareness. Lord knows we're all aware of breast cancer, but even if we weren't, I'm pretty sure "secret" Facebook games aren't furthering the cause. I'm involved with an organization that does seek to raise awareness of hereditary breast and ovarian cancer (which a lot of people don't necessarily know about and that knowledge can save lives) but also furthers research, connects women with doctors and surgeons, etc. I also really like that you donate $50 to a cause once a month. I think I need to start doing something like that. I opted not to use the term "slacktivism" in this post because it's a judgmental label, though I do think it's an apt term to describe people who want to feel like activists while doing minimal work. The truth is that I think most people feel like they are doing something valuable and important when they forward links or re-post statuses that "raise awareness"--that is, I don't think people are purposely lazy, I just think it goes back to the notion of limited time/energy/money and how we can't give 100% to everything. But if you don't make purposeful choices about how to devote those resources, then I think you're more likely to end up doing those types of minimal actions that aren't terribly beneficial in the grand scheme of things. That's awesome that your organization is educating people and doing on-the-ground work to make things better! Thanks for your insight, Jessica. I really appreciate all that I have read so far. Since my daughter,Rachel, became an advocate for children whose families are uneducated, we sponsor a 13 year old to further his education. I trust we are making a difference in his life as we correspond with him monthly. We encourage him in all he does. The Compassion Organization is worldwide with schools in many villages and cities. We are pleased to be a part of Hakim Soren's life. To help those close to home (USA) our involvement is unlimited. Just do it! That's wonderful, emilieann. We sponsor a child through World Vision and love getting updates from him and his family. Thanks for making a difference in a way that's meaningful for you! I agree. When I got the FB email for this campaign I thought it was stupid and a waste of time. I understand they were trying to raise awareness but by doing something so childish I highly doubt anything was gained. Honestly, if people took the time they spent daily on FB and volunteered one Saturday of the month or instead of drinking 2 gourmet coffees a week, donated the money to an organization, the world would be a better place. I honestly thought that the Facebook campaign in question was worse than if a bunch of people had posted a status that said, "Hey everyone it's Breast Cancer Awareness Month! Please re-post!" because not only did it not lead to any real action but it didn't even lead to much real awareness, plus it mostly served to confuse the heck out of everyone's Facebook friends. I generally avoid drawing the kind of connections you mentioned (e.g., time spent on Facebook could be spent volunteering) because of this effect, and because people get defensive if you tell them to stop doing something they enjoy. I tend to agree with the personal finance experts who get frustrated over the advice to stop drinking lattes because if lattes are important to you, then you should spend your money on them and find something else that's less important to you that you can cut out of your budget. My point is that I think everyone has to decide for themselves how they want to make the world a better place, whether it's volunteering, writing, contributing money, or something else, and then figure out how to prioritize that in their life. Nodding along to all of this. Brilliant post. And I love your idea of setting aside a certain amount of money each month to give to whatever it is that needs it at that time. Thanks! It's worked well for us. Whenever something comes to the attention of one of us, we'll say, "Hey, can our $50 this month go toward _____?" We don't have to waste any time debating over the amount, and if something else comes up later we'll either save it for the following month or pass on it, knowing we can't do everything. Whenever I get one of those messages, I immediately go to my wall and post "This is your reminder to do a self-breast exam" or something along those lines. As far as I know, the factor that leads to better prognosis in breast cancer is finding it early, and that means NOT waiting until your next checkup to get an exam. Do it yourself. So yeah, I completely agree. For a many issues, a lot more education is required for people to feel the need to actually do something, so a lot of emphasis on awareness is necessary to result in action. Education itself is valuable, but when we're talking about making the world a better place, the purpose of the education is to lead to action. I remember you posting information on self breast exams on your blog around the time the Facebook campaign was going on, and I thought how much more useful that was. I guess one positive side effect of the stupid Facebook campaign was all the people it angered who decided to share useful information instead! I almost wrote something about education in here, but it would have taken the post too far away from the main point. Education can happen in either the awareness or action stage--that is, becoming aware of an issue may cause you to educate yourself more about the issue, but you have to avoid getting stuck in the stage of just reading a bunch of stuff. If you're going to spend time educating yourself about an issue, I think it's equally as important to educate yourself about possible action steps. I, instantly, began to inform myself of the risk factors, the symptoms, and what can be done at this stage of the cancer. As soon as it was made available, I donated money to her and her husband to help with the increasing financial burden. Then, I took it to my blog and facebook. I urged my friends and family to take a look at themselves regarding any type of cancer. It's a serious medical diagnosis and I have never been more aware of the issues. Lastly, I purchased a small white bracelet that simply says, "know more". It's white, for my friend's exact lung cancer and it's a topic piece since I wear it with e.v.e.r.y.t.h.i.n.g. While I don't feel like I'm making a huge impact, but I feel like I'm doing my part to help not only raise awareness, but also to inform others what they can do as preventative measures and also to help raise awareness in others. My final comment is to simply ask if I can link to this article in a post I'm planning soon. We're coming up on three months since Heather's diagnosis, and I'd like to dedicate another post to her =) Your post provides valuable insight that I think would be good for my readers to see. I'm sorry to hear about your friend's diagnosis. Good for you for stepping up to help her and others! It sounds like you've really taken it to heart that awareness needs to lead to action.